This time we’ll spawn some enemies and let them hunt the player to start a battle. We’ll start with the move AI. Move AIs are used to move combatants around in the field and (optionally) in battles. To use move AIs in battles, you need to enable them for the battle system type. The move AI handles if and when enemy combatants are hunted, if a combatant follows it’s leader around and other movements, like following waypoints. For our little game, we’ll create a simple move AI that will hunt the player on sight and move around randomly while not running after the player. Open the ORK Framework editor and navigate to Combatants > Move AIs. There’s already a default AI, so let’s change it’s settings. This will automatically stop the combatant if he’s close to the target position for some time. To move the combatant’s game object around, we need a component on the game object that will actually do that for us. ORK Framework already comes with a (very) simple component that will move the combatant toward its target. You can also use Unity’s Navmesh system, or a custom solution. This uses ORK Framework’s simple movement component. The component is added automatically to combatant’s (if it’s not already there). The speed settings determine how fast a combatant will move in certain situations. Unless you use the Value speed type, the speed settings defined for the combatant is used. The speed used when following the group’s leader. The speed used when moving out of the leader’s way. The speed used when hunting an enemy. The speed used when fleeing from an enemy. The speed used when moving to a waypoint. While not hunting or fleeing from an enemy, or following the leader, combatants can move around between waypoints. To follow fix waypoints in a scene, you need to add those waypoints to the Combatant Spawner component (or Add Combatant component) that adds the combatant to the scene – but you can also let ORK generate random waypoints. The combatant will move to the next waypoint if he couldn’t reach the current one after this time. The patrol radius will always be used from the current position of the combatant. If disabled, the patrol radius is used from the spawn position of the combatant, forcing him to stay within a certain area. The combatant can use Move Events while being idle (e.g. between waypoints). You can use the move events to e.g. wait for some time, rotate the combatant or play some animation on him. We’re not using this for now. Combatants can follow their group leader – we’ll use that. The Follow Range determines when the combatant will run after his leader. The threshold is used for a smoother transfer between following and stopping. The combatant will follow the leader when the distance is 3.5 and stop following when it’s 2.5. The Give Way Range determines if and when a combatant will move out of the leader’s way (e.g. to not block him). Auto Respawn can automatically respawn a combatant near his leader when getting too far away. Now things are getting interesting – the enemy detection controls when a combatant notices an enemy. You can add multiple detection settings, like seeing an enemy in front of the combatant, but noticing a moving enemy all around. 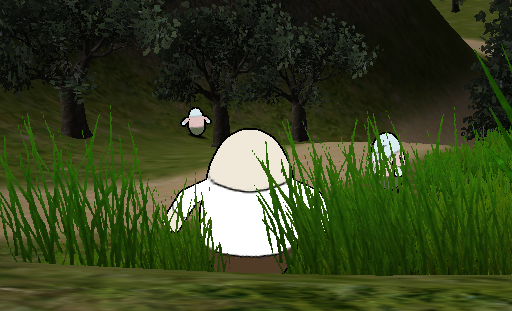 The base detection range determines the area around the combatant that he will recognize enemies. Each detection setting has it’s own range, but they can’t exceed the base detection range. Let’s keep it easy for now. Now, click on Add Detection to add a detection setting. Since we will only use this one detection, you can leave it’s range settings as they are. We could use a raycast from the combatant to the target to ensure that there really is a line of sight – but this is only a simple game. The combatant can see everything in front of him, 60 degree to either side. These settings are used to check the target’s position and update the position the combatant moves to. Since some movement components (e.g. Navmesh) can use a lot of calculations when updating the position, you can set the update timeout based on the distance to the target. We’ll use four different checks – click on Add Target Check to add new checks. The target’s position is checked every frame. We’ll use this when we’re close. These settings determine if and when to hunt enemy combatants. You can use Hunting Conditions to only hunt enemies that match certain status requirements (e.g. at least level 5). We don’t need them for now. That’s it for the move AI. Now that we have our move AI, we need to add it to the combatants who are going to use it – in our case, that’s the enemy combatants. When hunting the player, a battle will automatically start once the enemy gets within a defined range. Navigate to Combatants > Combatants and change the following settings for Evil Pants, Evil Caster and Evil Support. Here we can define the Battle Start Range – the range the combatant must be to start a battle with the player. That’s it – click on Save Settings and close the ORK Framework editor. 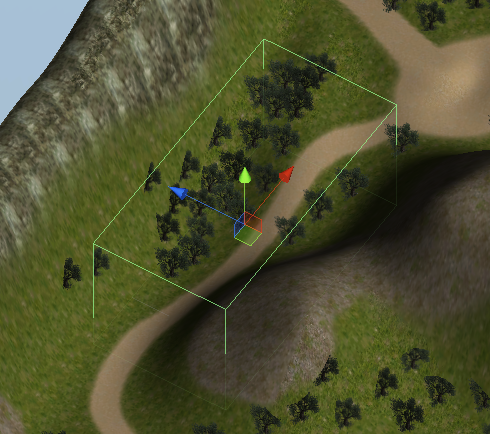 Open the field scene (2 Field, can be found in Assets/Tutorial Resources/Scenes/) and move the scene view to the path to the right of the town entrance. We’re using a Combatant Spawner to add our combatants to the scene. Increase the size of the Box Collider, e.g. to X=100, Y=50, Z=50. Now it’s time to set up the combatant spawner – change the following settings in the game object’s inspector. Since we used the scene wizard to create the combatant spawner, the Battle Type should already be set to Active Time. Like in Random Battle Areas, you can use a different game object with a Battle Component attached for battles started by spawned combatants. If you don’t select a game object (that’s what we’ll do), a new game object will be created for each battle. The comatants are spawned using raycasts at random positions within the spawner’s collider. The raycasts start at the top and end at the bottom of the collider, so make sure the box starts above the ground and ends below it. That’s the layer where the terrain (where we want to spawn at) is located. Now it’s time to add some combatant groups – remember to select Enemies as the Faction for all combatant groups. Let’s set up the first group. That’s the quantity the combatant spawner will spawn of this group. Spawned combatants will have a random start rotation – otherwise they will all look into the same direction. We only want to spawn the group leaders for now. The combatant will respawn after being defeated in battle. The combatant will respawn after 30 seconds. That’s it – save the scene. Open the main menu scene (0 Main Menu) and hit Play. Walk outside of town and into the area where you placed the combatant spawner. You’ll now see them walking around – and hunting you if they spot you. You can prevent combatants from spawning in certain areas by adding Block Combatant Spawn components to the scene. The block combatant spawn will prevent combatants spawning within it’s trigger. And that’s it for now – the next lesson will cover damage dealers and damage zones.